Klingenthal, a centre of music, is a small town in the Saxon Vogtland region, directly bordering on Bohemia. As early as the middle of the 17th century, instrument makers settled down here, starting with violin makers from Bohemia. Later, woodwinds and brasswinds were also made here. In the 19th century, mouth organ making came to town and soon dominated the townscape with a multitude of workshops. By the year 1840 or thereabouts, this boom had turned Klingenthal into Germany’s largest centre for the manufacture of mouth organs. 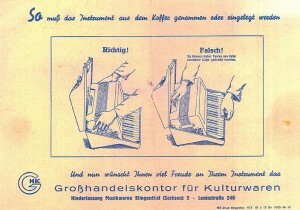 Accordion production started in 1852, when Adolph Herold brought the accordion along from Magdeburg. 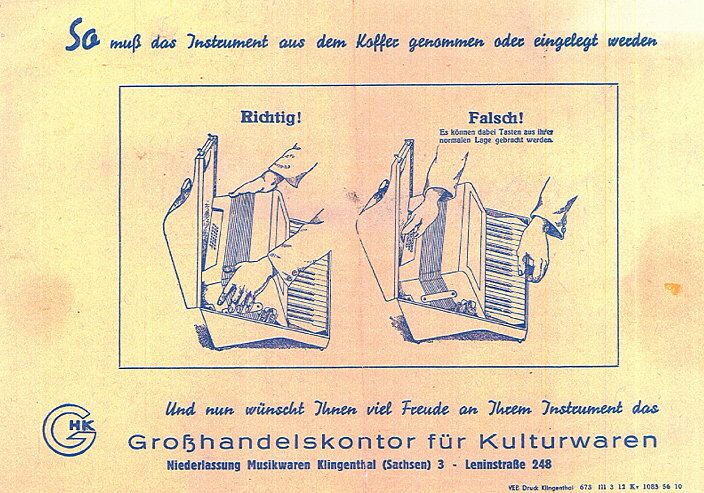 At that time the accordion was a much simpler instrument, very similar to the mouth organ, and so it was easily reproduced. The ensuing years saw the creation of well-known brands such as Barcarole, Contasina, Firotti, Horch and Royal Standard, as well as the establishment of accordion making as a senior branch of industry in the so-called musical corner of the Vogtland region. Numerous patented inventions stand as a testament to the creativity and imagination of the engineers and accordion makers of that time. 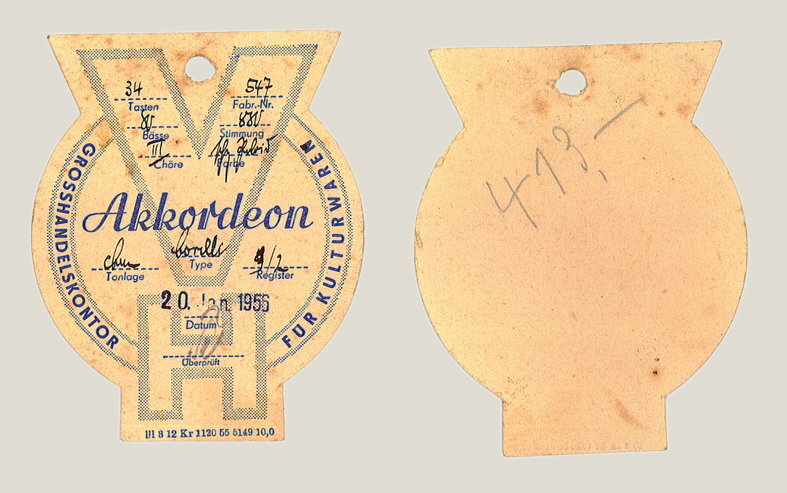 In 1948, several factories were merged into a nationally owned enterprise, VEB Klingenthaler Harmonikawerke, while other factories of the region united to form handicraft cooperatives or partly fell under state control. 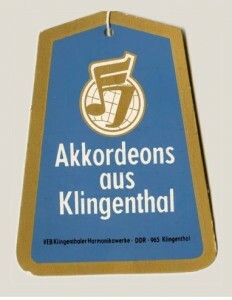 Finally, in 1973, all remaining factories and workshops were incorporated into VEB Klingenthaler Harmonikawerke, creating a merged workforce of over 3500. Production consolidation also had its benefits. More than 30 engineers and technicians worked to streamline the instrument making process and improve quality and customer service. A number of inventions also came about at that time, including the plastic keyboard supported on two axes and the plastic and metal mechanism that can be fully removed with two screws. Outstanding artists’ instruments were developed, such as the Weltmeister Supita, followed by brave innovations such as the Weltmeister Consona or the Barcarole Sonaphon. 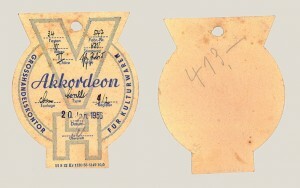 The breakdown of the GDR meant the breakdown of this industry’s market, as the introduction of the Deutsche mark quadrupled the price of East German products overnight. Against this background, many operative parts of the company were hived off again. 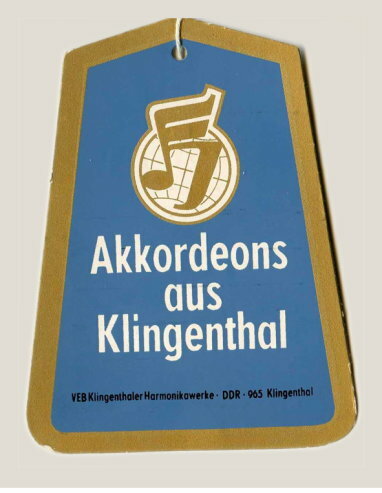 In 1992, VEB Klingenthaler Harmonikawerke was transformed into Harmona Akkordeon GmbH, where we continue to produce – exclusively in Klingenthal – the Weltmeister accordions so popular around the world. Beginning 1 October 2017, Harmona Akkordeon GmbH is operating under a new name: Weltmeister Akkordeon Manufaktur GmbH.